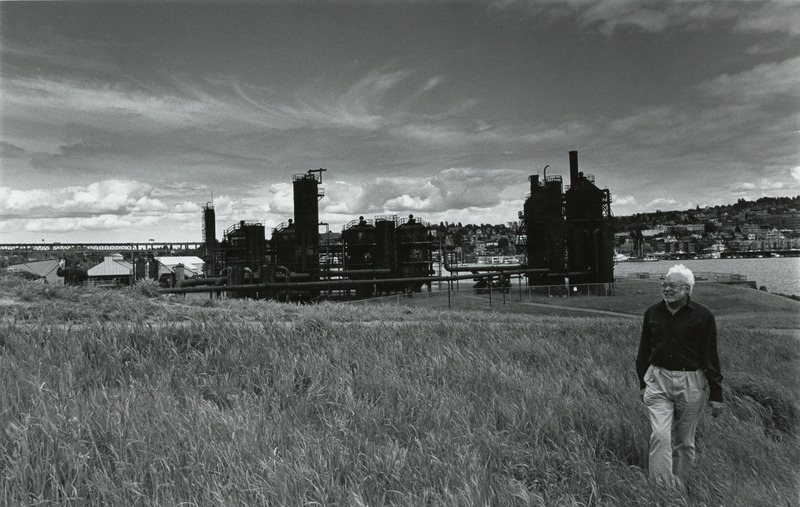 Richard Lewis Haag, a pioneering landscape architect known for his groundbreaking experiments in post-industrial landscapes and bioremediation, has passed away at age 94. 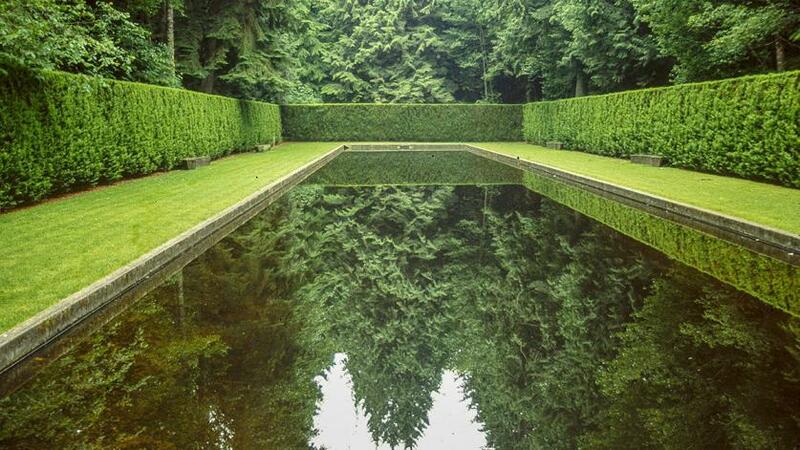 The Cultural Landscape Foundation (TCLF) commemorated Haag’s death in a tribute over the weekend, describing his passing as “a quiet but profound blow to the many colleagues, friends, and admirers whom his life and work touched deeply.” Haag passed away on May 9, 2018 and was well-known around the world for the designs of Seattle’s Gas Works Park and the Bloedel Reserve on Bainbridge Island in Washington State, among the over 500 other built commissions he completed over his lifetime. Haag was born in 1923 and grew up in Louisville, Kentucky, where he worked for his father, who was a self-trained horticulturist. Having never graduated from high school, the budding Haag enlisted in the U.S. Army in 1945 and served as a radar engineer in the Air Force. After traveling to Morocco, Egypt, China, and India while in the service, Haag returned home to study landscape architecture at the University of Illinois, Urbana-Champaign, where he benefitted from the G.I. Bill. While at U of I, Haag studied under professors Stanley White and Hideo Sasaki, two of the country’s most renowned post-World War II landscape designers. In 1949, Haag transferred to the University of California, Berkeley, where he earned a Bachelor of Landscape Architecture in 1950. From there, he worked for the lansdcape architects Dan Kiley, Osmundson and Staley, and Lawrence Halprin before setting out on his own in 1957. 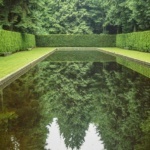 At this point, Haag relocated to Seattle, where he was instrumental in establishing the landscape architecture program at the University of Washington’s College of Architecture and Urban Planning. 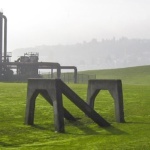 Perhaps best known for his work on Gas Works Park, Haag set a new path in landscape design by choosing to preserve the hulking remains of a disused gas plant on the 19.1-acre site. By converting the hollowed-out industrial shells into a children’s “play barn” and leaving other elements as industrial ruins, Haag blended picturesque and abstract modes into ecologically-minded designs. 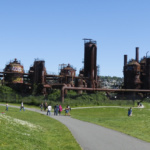 The designs were among the first in the nation to utilize bio-phytoremediation to clean up the park’s heavily polluted site. The park opened in 1975 and eventually received the American Society of Landscape Architects Presidents Award of Design Excellence. 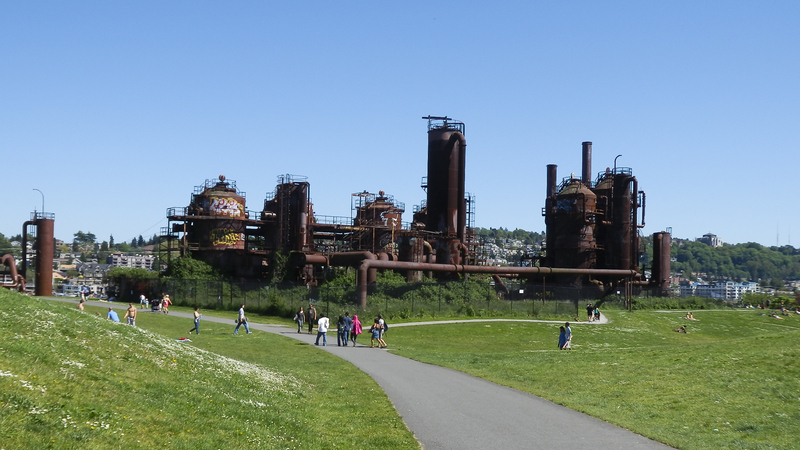 The park was listed on the National Register of Historic Places in 2013 and is also listed as a Seattle City Landmark and a Washington State Landmark. 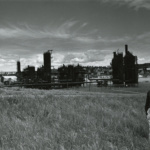 TCLF completed a video oral history of Haag’s work in May 2014 that features interviews with Haag at his home and at selected projects in and around Seattle. The history also features written reflections by Haag scholar Thaisa Way and landscape architects Gary Hilderbrand and Michael Van Valkenburgh, among others. See TCLF’s website for the full tribute.